We stayed for 9 days in the middle of winter with 3 kids 10 and under. 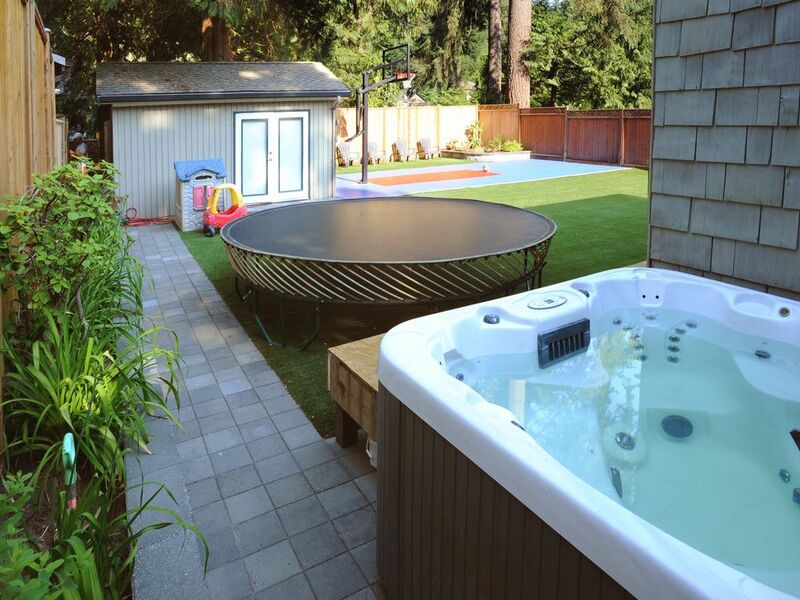 The house is a great size and the playroom and outdoor areas were a great distraction for the kids. The house was clean and well equipped and the area is very quiet with nice walks. There is also a supermarket and petrol station close and it is well located for easy driving around North Vancouver. I would highly recommend the accomodation and Joel was easy to communicate with. We would definitely stay here again. Perfect home for a family gathering. We enjoyed our stay in Joel’s home immensely! It is located in a quiet, beautiful area out of the way of traffic but still easy access to all the amenities you might desire. It was spotlessly clean and very well organized. Everything you could possibly need and more is provided! We were a group of 5 which included myself, my son and his wife and my 21/2yr old granddaughter. We were joined by an Auntie as well! There was plenty of room for all of us and my granddaughter just LOVED all the toys and the space to play! My son enjoyed the backbyard basketball court! Joel was very responsive to texts and emails and went above and beyond to make sure we enjoyed our stay. We will definitely be back! We had a wonderful stay in a nice quiet neighbourhood.The home was perfect for our needs. It was clean and spacious. The kitchen was well organized and a joy to use. Shopping is not far away and we enjoyed the nearby trails for walks. Joel was so helpful. A quick email with a question was answered quickly. It truly was a home away from home. Beautiful house in a nice quiet neighbourhood! Whole house was nice and clean. Had everything we could've possibly needed. Lots of space with a huge back yard. Would definitely stay here again! Liang family were excellent guests. Pleasure to meet you and thanks for lookng after our home. This was the perfect place for my family’s vacation! Lots of great activities for the kids and close to everything! Joel's home is wonderful for a stay in Vancouver. Away from the bustle of the city and all the advantages of suburban living. Fabulous house with all the modern appliances needed for a comfortable stay. Will be delighted to return when we are back in Vancouver. Thanks Joel from the Houlihan family.